When it comes to creating more usable space for your family and increasing the value of your home, think outside the walls and ask yourself how much time you would like to spend outdoors. Exterior renovations of your outdoor spaces in Los Angeles, like outdoor patios, swimming pools and privacy fences can give you and your family members spaces to relax, get some fresh air and participate in outdoor recreational activities. Not to mention, many exterior home renovations can increase the market value of your home. One of the best renovations for outdoor spaces in Los Angeles is the patio renovation. Modern patios are warm, inviting areas that can be designed for your lifestyle. They can be constructed out of concrete and/or paver stones and they can contain defined areas for lounging, enjoying a fire in the fire-pit and cooking amazing barbecue for your friends, family and neighbors. Outdoor patios can also be designed with water features and outdoor televisions and sound systems, and once the patio is built, homeowners can expect to recoup nearly 70 percent if they ever decide to sell their home. When it comes to making the most of your outdoor spaces in Los Angeles, you can’t go wrong with a new in-ground or above-ground swimming pool. Modern swimming pools often contain advanced features, like outdoor lighting and sound systems as well as custom landscaping, like rock features and cascading waterfalls, to give the area a resort-like look and feel. This outdoor upgrade will not only give your family a place to cool off and have fun, it will also increase your home’s property value and appeal. Privacy can be a big issue for homes in Los Angeles. The lots are often small, which gives neighbors the ability to look into your backyard. One of the best improvements you can make to your outdoor spaces in Los Angeles is to add a privacy fence. Privacy fences are usually between five and six feet tall, and they prevent your neighbors from looking into your backyard. They also help define your property, and they can give your pet a place to play without fear that he or she will escape your yard. Adding flowerbeds and other features along the fence can help improve its visual appeal, and if you ever decide to sell your home, you can expect to recoup between 50 and 65 percent of the cost of the fence. When it comes to improving your outdoor spaces in Los Angeles, consider outdoor home renovations by Landmark Construction Crew. 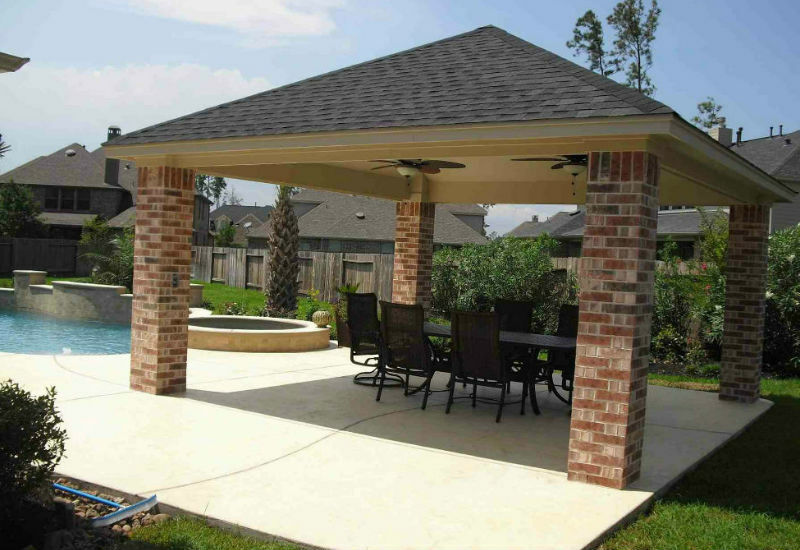 We can help you turn your backyard into the perfect recreational space for your family. Call Landmark Construction Crew today at 818-319-4970 to learn more.